Jargon: special words or expressions used by a profession or group that are difficult for others to understand. 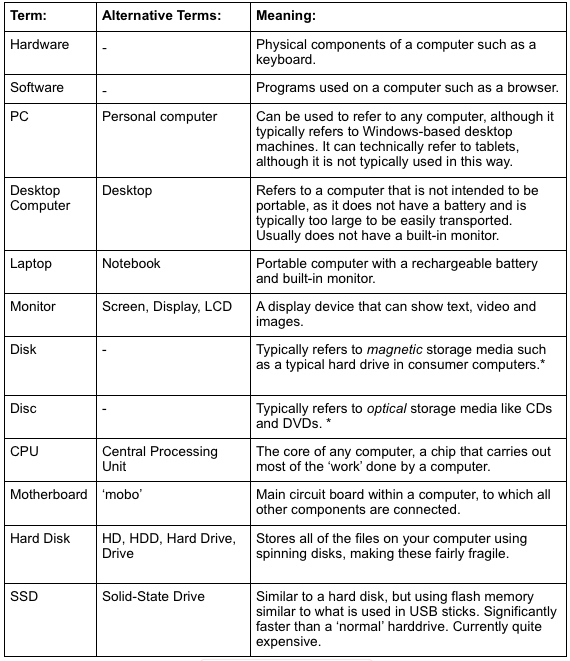 Those of us who are familiar with computers often use technical terms or slang which, as suggested by the term jargon, may be incomprehensible to those who are not as familiar. Jargon is occasionally used incorrectly by other media outlets, and this can be quite amusing to 'those in the know'. 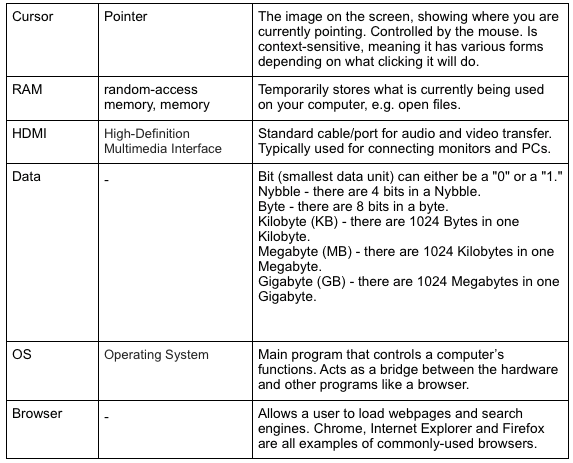 Below is a list of a few common computing terms including alternative forms of this term, and a simple explanation. This dictionary will continue to be extended as time goes on, be sure to check back!